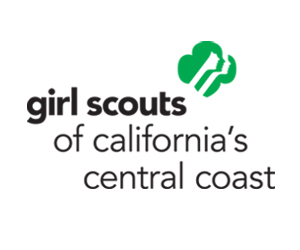 Girl Scouts of California’s Central Coast (GSCCC) enters the next century of Girl Scouts selling cookies with the Cookie Program starting on January 27 through March 11. GSCCC is kicking off this season with the return of Girl Scout S’mores™, the most popular flavor to launch in the 101 years of Girl Scouts selling cookies. During Girl Scout Cookie season, each G.I.R.L. (Go-getter, Innovator, Risk-taker, Leader)™ sets out to sell cookies while also building entrepreneurial and business skills. The Girl Scout Cookie Program® not only teaches girls these skills, but also powers amazing experiences for them. The cookie program teaches girls five fundamental skills that are essential to leadership: goal setting, decision making, money management, people skills, and business ethics. Almost 1 million Girl Scouts nationwide participate in the cookie program each year, generating nearly $800 million in sales during the average season. All of the net revenue raised through the Girl Scout Cookie Program—100 percent of it—stays with the local council and troops. Councils use cookie earnings to power amazing experiences for girls through their programming, while girls and their troops decide how to invest in impactful community projects or personal enrichment opportunities. Further, the skills girls learn in the cookie program also influence later success: data shows more than half (fifty-seven percent) of Girl Scout alumnae in business say the cookie program was beneficial to skills they possess today, such as money management, goal-setting, and public speaking. This year, girls will sell cookies door-to-door and at booth sales, as well as through Smart Cookie, an innovative and educational web-based app that helps girls run and manage their Girl Scout Cookie businesses online. Smart Cookies Mobile allows girls to set cookie goals, track sales progress, and take orders via an iPhone®, iPod touch®, iPad® or Android device™. Through secure login, girls can create and manage their sales on the go. GSCCC will continue to celebrate the next century of female entrepreneurs during National Girl Scout Cookie Weekend 2018. From February 23 to 25, Girl Scout councils across the country will host events and set up booths for cookie enthusiasts to join in on the fun. The 2018 Girl Scout cookie line-up for Girl Scouts of California’s Central Coast includes: Girl Scout S'mores™, Thin Mints®, Lemonades®, Thanks-A-Lot™, Trios (GF), Caramel deLites®, Peanut Butter Patties®, Peanut Butter Sandwich, and Shortbread at $5 per box. To find cookie varieties available along California’s Central Coast, visit http://www.girlscoutcookies.org, the official Girl Scout Cookie Finder app, free on iOS and Android devices. To join or volunteer, visit http://www.girlscouts.org/join and http://www.girlscouts.org/volunteer. Girl Scouts of California’s Central Coast serves over 16,000 members across six counties and is committed to making the Girl Scout Leadership Experience available to girls in ways that impact their lives both in the moment and into the future. Girls participate in troops, individual projects, council events, day camps and more. A variety of leadership, outdoor skills, and Science, Technology, Engineering, and Math (STEM) based programs and events provide girls with opportunities to learn and explore in fun and informative ways. To join or volunteer in Santa Cruz, San Benito, Monterey, San Luis Obispo, Santa Barbara or Ventura County, visit: http://www.girlscoutsccc.org.